The much-hyped spectrum auction ended on Thursday evening after 5 days of bidding by seven telecom operators, fetching the government Rs 65,789.12 crore (Rs 657 billion), which will come in phases, from sale of 964.80 MHz of spectrum. In value terms, the government will get money for just 12 per cent of the airwaves that were put on auction while about 40 per cent of the available spectrum was taken. The govt will get Rs 32,000 crore (Rs 320 billion) upfront from the latest round of auction, exactly 50 per cent of the budgeted amount of Rs 64,000 crore (Rs 640 billion) for this financial year. The debt-ridden telcos chose to ignore the coveted 700-MHz band, which alone could have fetched around Rs 4 lakh crore. There was no bidding in 900-MHz band also. The government, however, said it was satisfied with the outcome. “The spectrum auction has ended and the government has got Rs 65,789.12 crore and we will get an upfront payment of about Rs 32,000 crore (Rs 320 billion), which is highest ever in the last five years,” telecom minister Manoj Sinha said. When asked if he was disappointed with the muted response, Sinha said he was happy with fact that the government will get the highest upfront payment received in the last five years. Vodafone India was the most aggressive, taking home Rs 20,000 crore (Rs 200 billion) worth of spectrum. Bharti Airtel bought Rs 14,244 crore (Rs 142.44 billion) worth of spectrum, while Idea Cellular put in bids worth Rs 12,798 crore (Rs 127.98 billion). Reliance Jio has bought spectrum worth Rs 13,672 crore (Rs 136.72 billion). While Airtel acquired 173.8 MHz spectrum across 1800/2100/2300-MHz bands, Idea Cellular won 2100-MHz band spectrum in Mumbai circle. Idea said it has procured 349.2 MHz of spectrum, securing additional airwaves in 1800-MHz, 2100-MHz, 2300-MHz and 2500-MHz bands. Jio said it has acquired 269.2 MHz spectrum across all 22 circles. Tata Teleservices spent about Rs 4,500 crore (Rs 45 billion) on spectrum. It has also retained spectrum in Mumbai, where its licence was set to expire next September. “We have expanded our spectrum footprint thereby significantly enhancing capacity of our all-IP data strong network and ensuring world class services for all Indians,” Reliance Industries chairman Mukesh Ambani said. Government sold about 20 per cent of the airwaves in 800-MHz, 79 per cent in 1800-MHz, 24 per cent in 2100-MHz and 62 per cent in 2500-MHz band. 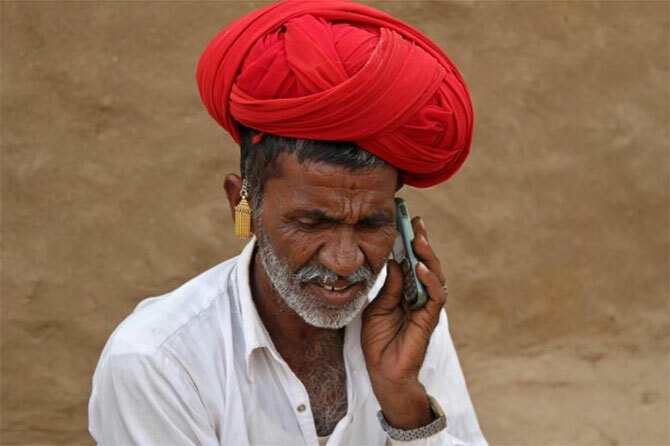 “The issue of quality of service, spectrum scarcity in India is history with this auction. Government has not done any profiteering, this auction was about putting spectrum in the hands of the industry. The appetite of the industry has been satiated," said JS Deepak, telecom secretary. Industry body COAI said lack of enthusiasm for 700-MHz band was mainly because of its “unrealistic pricing”, high debt and single-digit growth that the industry is currently reeling under. “We are hopeful the government and the DoT will take cognisance of the role a high reserve price had on bidding, as far as the 700-MHz is concerned, and will recalibrate the price so that spectrum in the band could be put up for auction, maybe two years from now,” COAI director general Rajan S Mathews said.